Inside Stories: SECOND PERSON STORIES -- THAT'S YOU! "Are your emotions pure? Are your nerves adjustable? How do you stand in relation to the potato? Should it be Constantinople? Does a nameless horse make you more nervous or less nervous than a named horse? In your view, do children smell good? If before you now, would you eat animal crackers? Could you lie down and take a rest on a sidewalk? Did you love your mother and father, and do Psalms do it for you? If you are relegated to last place in every category, are you bothered enough to struggle up? Does your doorbell ever ring? Is there sand in your craw? Could Mendeleyev place you correctly in a square on a chart of periodic identities, or would you resonate all over the board? How many pushs-ups can you do?" And the first question that made me laugh out loud -- on only the second page -- "Why won't the aliens step forth to help us?" "The Interrogative Mood's 165 pages do not tell a story," writes Luc Sante in his back-jacket blurb. And he's right, for the questions do not cohere into any sort of plot. Instead, he continues, "They [the 165 pages] tell thousands of stories, all of them starring you. By the end you will feel as rich as Haroun al-Rashid on the thousandth night." He's got a point. It's hard not to imagine events from your own life when posed such direct questions as these: "Are you a physical coward? Are you bothered by your cowardice? What are the top three things in your life you wish you had not done, or done differently than the way you did them? How old is the oldest human body you have ever seen naked?" Whatever and however many memories or meanderings of your own "The Interrogative Mood" may prompt you to flash on mentally, perhaps the larger narrative here is that of the person who asks these questions. Powell gestures to that idea in the question that follows the one above: "Could you, or someone, do you think, make such a profile of me from the questions I have asked you?" Certainly the questioner is more revealed than the answerer by these oddball queries: "If you were part of a couple living in a three-story wooden Victorian house with a bad paint job outside and a shabby interior, to the extent that some of your rooms were lit by bare lightbulbs on swinging cords effecting heavy glare on the beadboard walls, wouldn't you consider it an appropriate diversion for the two of you to play Norman Bates and his mother at least sometimes? Do you take pleasure in cleaning and repacking ball bearings?" 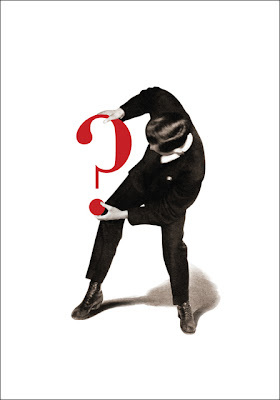 If all Padgett Powell intended to do was to spark conversation, he would have written something more like Gregory Stack's fun but prosaic "The Book of Questions" -- which provided conversation-starters such as "When is the last time you stole anything?" and "Would you accept 20 years of extraordinary happiness and fulfillment if it meant you would die at the end of this period?" (My answers: today, if stolen glances count; and yes, so long as the scenario does not involve drowning, fires, or shark bites.) But Stock's book was a party game, whereas Powell's aim is more literary. What emerges from his book may be the reader's own stories, or the author's off-kilter perspective, or a peculiar sort of poetry. It may instead (or also) be just a mood, the interrogative mood of the book's title. So much of life and literature is declarative, expository. But the interrogative mood sees every aspect of life -- lived, imagined, possible, or otherwise -- as suitable for questioning. Why is anything the way it is? Who am I? What the hell is going on? Why am I being asked so many questions? Why don't I ask more? And just how often do I get asked, "What is your position on yard raking?" or "Do you like to sharpen pencils?"